We're in this overtime period because the Assembly, Senate and governor couldn't agree on some other important issues completely unrelated to the sport (i.e., rent control, education and tax stuff, etc.). 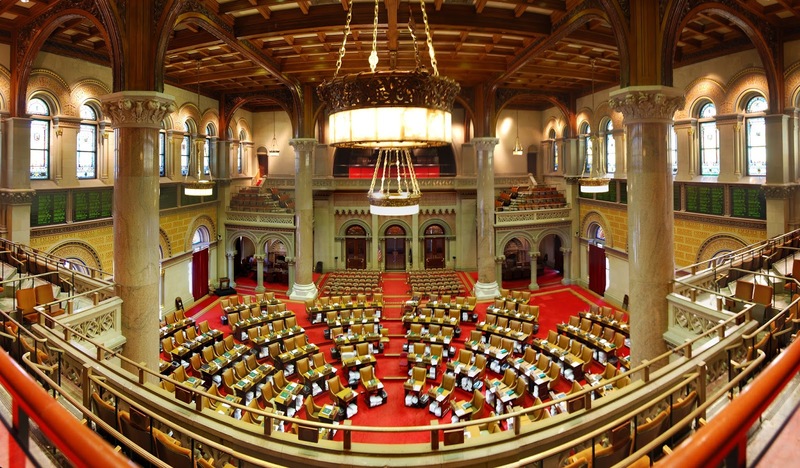 That overrun has in turn created some scheduling snafus with Assembly members who would vote "yes" to the MMA bill, but might not be able to because they can't be in Albany. In terms of necessary support, that does affect the math of the equation. This article on Syracuse.com lays out some examples. Conceivably, this overtime period could end today, or stretch through the week. It all depends on those other issues getting resolved. The MMA bill still might see some play on the Assembly floor if the timing hasn't mucked with the numbers too much. You can see the posted daily agenda of bills here. The MMA bill isn't on the first one put up for today, but there will be more agendas posted. Just keep checking it. 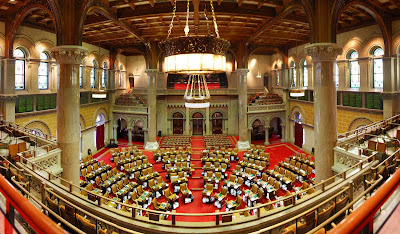 You can watch the Assembly do their thing here. Does this mean the MMA bill is in trouble? No, because there's still the Big Ugly. We remain in a good place with things, we just have to be patient. Lifting the 1997 ban on pro MMA is a relatively small issue compared to the rest of the stuff on the legislature's plate, so it's all about waiting our turn - a turn that could come at any time.